Caption "Ours Is A Strange Wonderful Relationship." 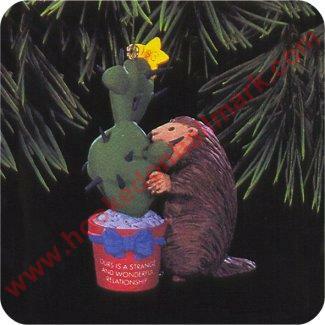 This adorable porcupine has found his perfect match...the catcus Christmas Tree. I love that the tree is made of a "rubbery" material. It is truly a "Strange & Wonderful Love" !